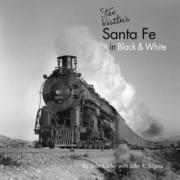 This book consists of 288 pages, 317 black and white and 74 color photos, 75 diagrams, appendix, roster. 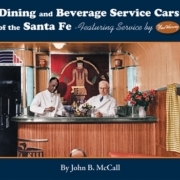 Beginning with the 500 Bx-66 Class cars of 1954—one of the last classes of box cars to come lettered from the builders with name train slogans on the car sides—it completes the story of box car development up to the BNSF merger of 1995. This was the colorful Shock Control and Super Shock Control era. 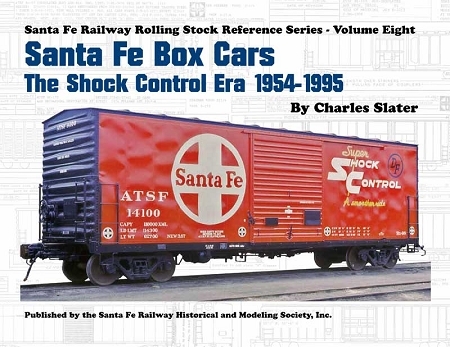 Chapters include The Last of the Name Train Slogan Cars, “Shock Control” Underframes – A New Era in Box Car Construction, Later Fifty-Foot Shock Control Cars, Super Shock Control Cars, Forty-Foot Rebuilds, Other Fifty-Foot Rigid Underframe Cars, Fifty-Foot Auto Parts Cars, Sixty-Foot Auto Parts Cars, Eighty-Six Foot Auto Parts Cars, Appliance Cars, Beer and Liquor Trade Cars, Other Former Refrigerator Cars Changed to Box Cars, XF Food Loading Cars, Fifty-Foot General Purpose Cars, and Sixty-Foot General Service Cars. 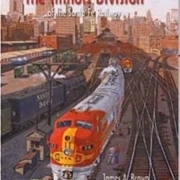 It also includes appendices on Paint and Lettering, Bx Class Interiors, and Bx Class Roster. 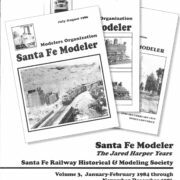 288 pages, 11×8½ coil bound, 317 black and white and 74 color photos, 75 diagrams, appendix, roster.